Kimon Evan Marengo, the son of Evangelos Marango, a Greek cotton merchant, was born in Egypt on 4th February, 1907. A talented cartoonist and illustrator, he studied at the Ecole Libre des Sciences Politiques (1929-1931) in France. Taking the pen name Kem, he drew cartoons for Le Petit Parisien and Le Canard Enchaine. His work also began appearing in the Daily Herald and the Daily Telegraph. Marengo took a keen interest in politics and every year he would produce a Christmas Card that reflected his views on the international situation. 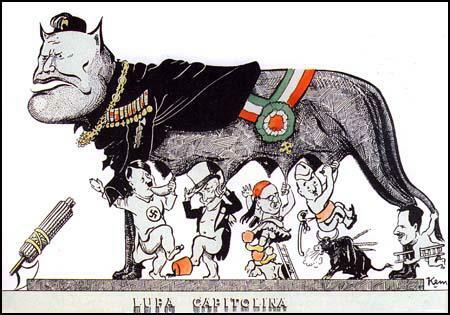 In December 1936 he sent a card that featured Benito Mussolini as the mother wolf from Rome's Capitoline Hill. In place of Romulus and Remus are infant fascists, Adolf Hitler, Mustafa Kemal Attaturk, AIoannis Metaxas, Francisco Franco and Oswald Mosley. Marengo went to Exeter College but left Oxford University on the outbreak of the Second World War. Marengo was employed by the Foreign Office as political adviser on the Middle East. In 1939 he produced a poster, The Progress of Russian and German Cooperation, on the Nazi-Soviet Pact, for distribution in the Middle East. 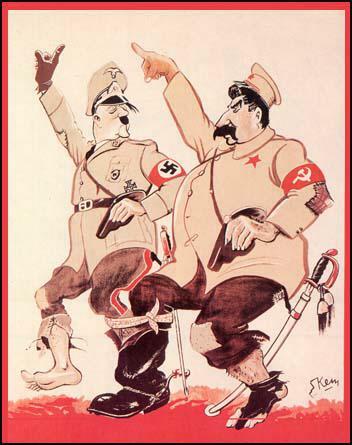 Mark Bryant described the poster in his book, World War II in Cartoons (1989): "Kem's delightful poster for the Middle East has Stalin and Hitler embarking on a three-legged race with only one serviceable boot between them." Valerie Holman has added: "With one boot between them, Hitler and Stalin's three-legged race looks doomed from the start: one points forward as the other turns back, their weapons more an encumbrance than a threat, and their prancing at odds with the pitiful state of their uniforms. This hapless, laughable, down-at-heel pair epitomise the way in which Kern caricatured dictators and show why he was already on the blacklist of both Hitler and Mussolini." Marengo was given the rank of Lieutenant-Colonel and was given orders to produce cartoons, postcards, posters, and other propaganda material. By 1941 he was drawing more than a dozen cartoons a week. Marengo also attended the Teheran conference betwen Joseph Stalin, Franklin D. Roosevelt and Winston Churchill. Marengo always signed his cartoons, "Kem". In 1944 the Daily Sketch published three political cartoons by Cyril Gwyn Price, a Welsh miner, who signed himself "Kim". Marengo took the paper to court and eventually won the case when it was decided that there had been a "reasonable possibility of misrepresentation." It has been estimated that during the Second World War he produced over 3,000 political cartoons and posters for the Ministry of Information. 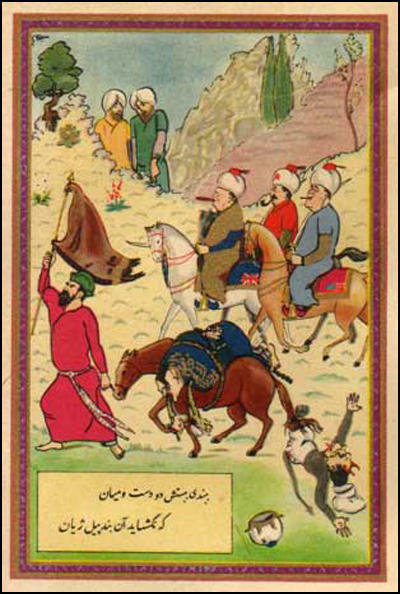 These were published in several languages including three dialects of Arabic and Persian. 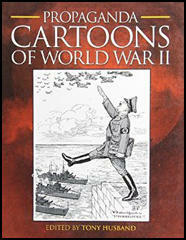 He also wrote and illustrated eight booklets that were dropped over occupied territory by the Royal Air Force. In 1945 Kem produced a Christmas Card that commented on the dropping of the atom bombs on Hiroshima and Nagasaki. 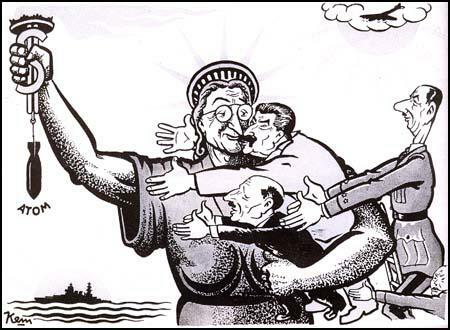 It shows President Harry S. Truman in the guise of the Statue of Liberty, showing him holding both physical and monetary power. In the picture Joseph Stalin, Clement Attlee, Charles De Gaulle and Chaing Kai-shek all hold out hands of friendship, but they are really reaching out for the atom bomb in Truman's hand. the victory ride of Winston Churchill, Joseph Stalin and Franklin D. Roosevelt. Adolf Hitler and Joseph Goebbels appear at the bottom of the card. After the war Marengo was awarded the Legion d'Honneur and Croix de Guerre. He returned to Exeter College where he began work on his Ph.D. thesis The Cartoon as a Political Weapon in England: 1783-1832. However, his long court-case against the Daily Sketch, that was not settled until 1952, had made him unpopular and he found it difficult to get his cartoons published in British newspapers and magazines. Valerie Holman has argued: "Kern saw the cartoonist first and foremost as a political commentator with a viewpoint of his own, comparing his art to that of a leader-writer in the national press. Like the eighteenth-century satirical draughtsmen whose prints he studied and collected, his chosen weapon was ridicule rather than vilification." Kimon Evan Marengo, who was married with two children, died in London on 4th November, 1988. 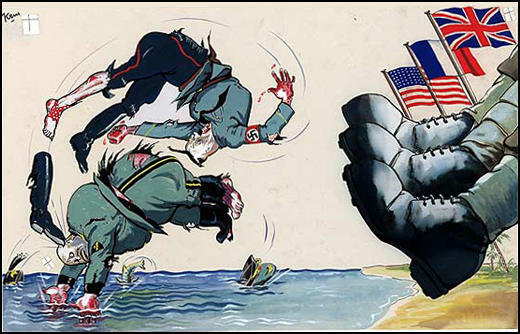 Kern saw the cartoonist first and foremost as a political commentator with a viewpoint of his own, comparing his art to that of a leader-writer in the national press. Like the eighteenth-century satirical draughtsmen whose prints he studied and collected, his chosen weapon was ridicule rather than vilification, and many of his cartoons during the Second World War show the follies and foibles of the Axis leaders. For example, a single image conjures up the "progress of Russian and German cooperation". With one boot between them, Hitler and Stalin's three-legged race looks doomed from the start: one points forward as the other turns back, their weapons more an encumbrance than a threat, and their prancing at odds with the pitiful state of their uniforms. This hapless, laughable, down-at-heel pair epitomise the way in which Kern caricatured dictators and show why he was already on the blacklist of both Hitler and Mussolini. Originally designed as a poster and captioned in Arabic, this particular image was distributed throughout the Middle East where the image of Stalin was forced to undergo a major transformation after Russia switched allegiance and became a key member of the Grand Alliance, following the German invasion of Russia in June 1941 and the collapse of the Nazi-Soviet Pact.